Today’s the day! What’s changed regarding Fortnite Season 5? Did they finally plug that leak that was teleporting llamas into the real world? Yes and no. The llama invasion seems to have stopped, but the cracks that were appearing around the island have grown into rifts — and they’re depositing objects from across time! Jump into the rifts to be catapulted into the sky and gain a new view of your surroundings. Season 5 also heralds the long-awaited addition of VEHICLES! The All-Terrain Kart, or ATK, is active and free to monkey around with. 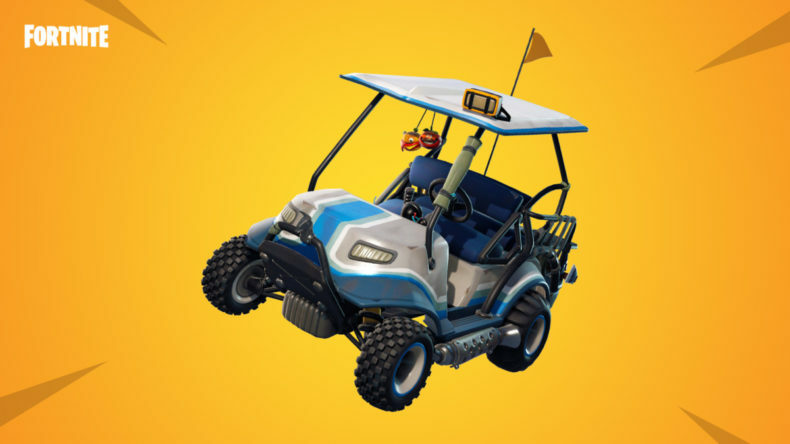 The ATK is most efficient with two players — it can jump over bigger obstacles if two passengers lean back and press the Jump button at the same time. A new season means a new Battle Pass. The Season 5 Battle Pass costs 950 V-Bucks (or $9.50 of real-world money) and opens up 100 tiers of cosmetic rewards you can earn by gaining experience and completing challenges. If you’re thinking you can’t possibly complete all 100 in the time allotted, good news: starting with Season 5, progressive challenges are not restricted to a single season, so go at your own pace. Alternately, if you’re rich and lazy, you can just buy the version of the Battle Pass that has the first 25 levels unlocked, which sets you back 2,800 V-Bucks. But don’t be that guy. Possessing the Season 5 Battle Pass gives you access to one of Fortnite’s most interesting new additions: what they’re calling “toys.” These are interactive objects you can materalize with your Emote button, like basketballs, beach balls and golf balls. They provide no tactical advantage, but there are new areas in the game where these toys can be played with. Yes, Fortnite now has a golf course. Fortnite Season 5 will last from today, June 12, until September 25.